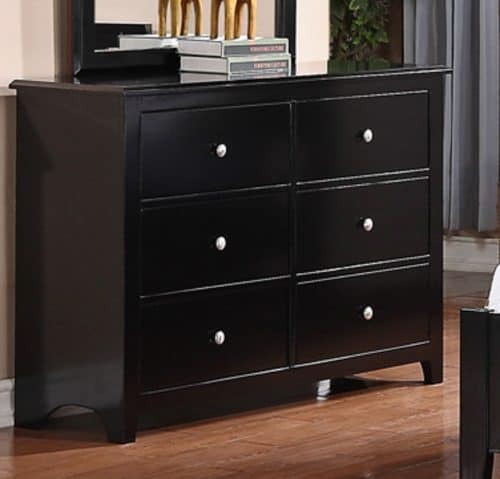 Add style to your bedroom with this black dresser. The dresser made of pinewood, composites, and veneers; the dresser is bathed in a black finish. The dresser has six drawers providing enough space to tuck away all your belongings. The drawers have satin smooth metallic silver finish knobs that help slide the drawers with absolute ease. The top surface can be used to display decorative pieces of your choice. 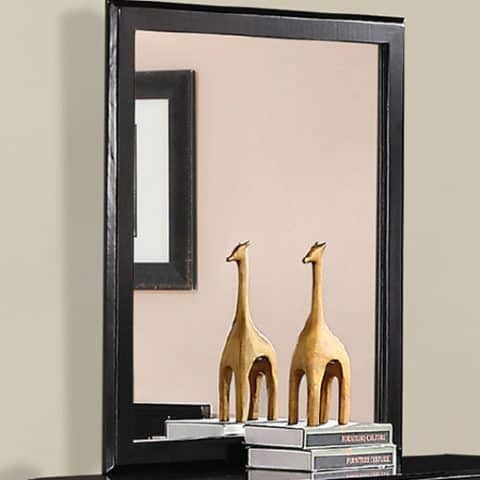 Add style to your bedroom with this black nigthstand. 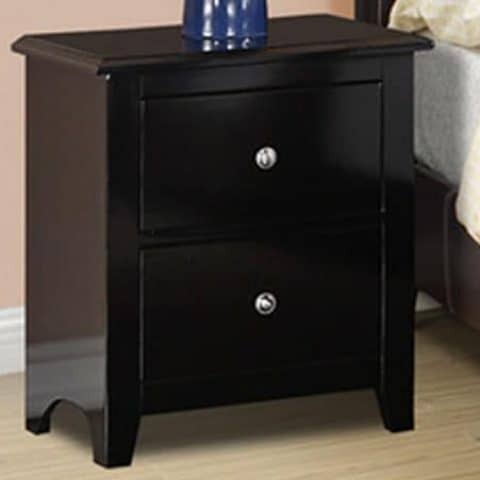 The night stand made of pinewood, composites, and veneers; the night stand is bathed in a black finish.